I thought a camera case was one that was a ‘case’ for your camera. Right. 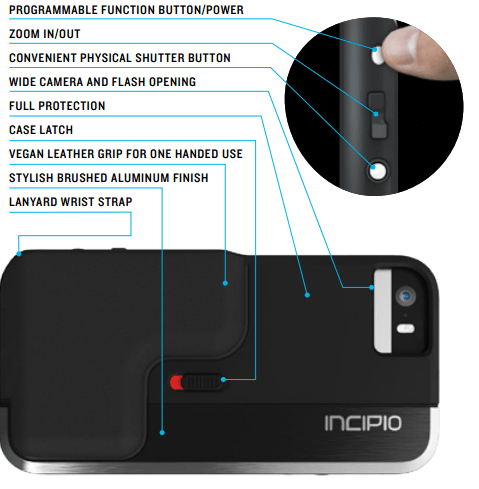 Incipio agree with you, but somehow managed to twist your iPhone 5/5S into more than the camera it is. Interested? Read on! 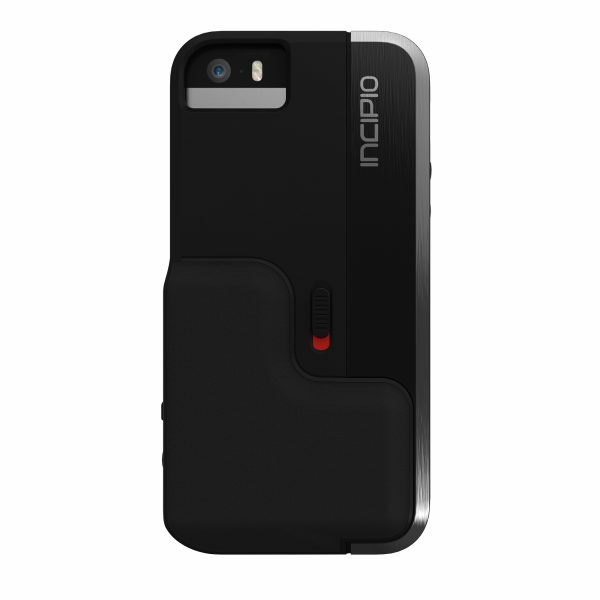 The Incipio Focal is an iPhone 5/5S case like any other. It offers you protection, and even throws in a lanyard in case you’d like to hang on to your phone for safety. Then it packs in a Bluetooth controlled set of buttons, which pairs with your phone, and gives you more features. Also packed in is an app, that takes over from the regular Camera App, and gives you more features, such as timers, etc. The case feels sturdy and strong. A two part case, it comes and clicks together perfectly on your phone. Ports are available for all the usual stuff, and your buttons are covered up by the case, giving you protected access to them. Beyond that, it offers you a couple of buttons, one of which acts as a shutter, and other is programmable, and a rocker that lets you zoom in and out of photos. A sliding button is used when you want to unclip the case and take your phone out. This makes the process of removing your case a lot easier than most cases. Part of the charm is the fact that in the case, you have a non-slip grip, a standard camera shaped thing to hold on to, and a proper shutter button to take photos. This, more than anything else, makes this the ‘Camera Case’. Of course, then you have the stylish finish of the case it self. 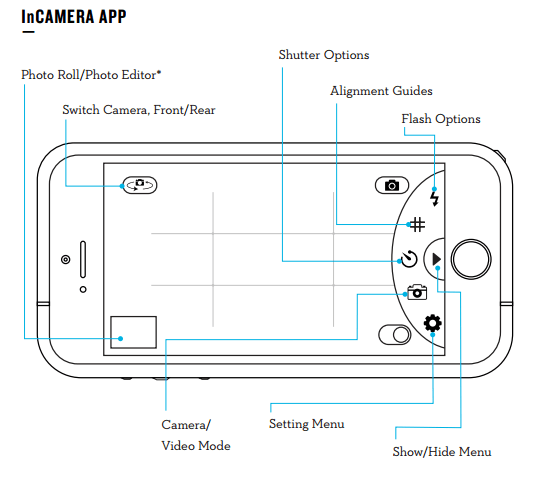 A camera button? Zoom? What? Yes. 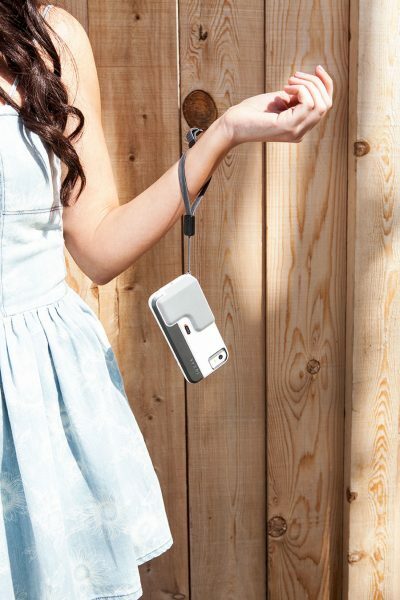 This ‘Camera case’ is designed to turn your iPhone into a more functional camera. Yes, it doesn’t pack in a lens, and the zoom is still software based, with no special optics packed in. 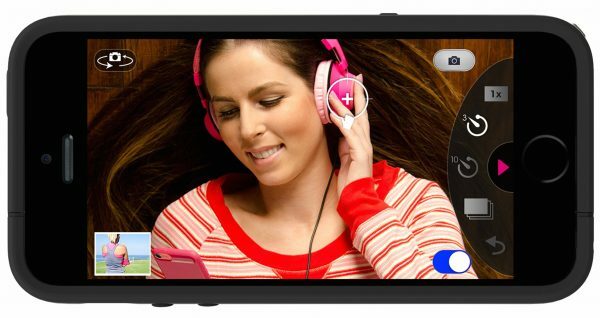 As mentioned before, it pairs with your phone using Bluetooth, and once the app is installed, it is happy to let you take photos, using the dedicated buttons. There is an app too? Yes, inCamera app, free to download from the App Store. The app is fairly self explanatory, and easy to use, and offers a host of features not available in the default app, or at least arranges them better. Pressing the shutter button opens the app, which is a handy shortcut. The other key can be programmed according to your taste or needs. Oh yes, well spotted! It does include a battery, which promises up to 300 hours a day of use. For 365 days a year, I think that should be enough to last at least a year. It is a coin cell battery, so you can change it if you wish too. In the UK it retails for £49.99. It comes in an array of colours. I guess the only thing you may find a fault with is perhaps the price. Yes, it seems like a lot to pay, but you have to remember that you are paying for a complete package. A great case, a great set of hardware, and a great app. Altogether, they provide your iPhone camera with an even greater function, and this is what really sells this to me. If you like photography, and have an iPhone 5/5S, definitely give this a go!